What gives Paytm an edge over others in payments bank game? Digital wallet firm Paytm launched the country's third payments bank earlier this week. Though the Vijay Shekhar Sharma-led company was expected to be the first to get its payments bank off the ground, operations finally started after more than a year's delay. Despite the delay, Paytm Payments Bank is offering an interest rate of merely 4% on deposits, which is in line with what scheduled commercial banks offer. Bharti Airtel Ltd, the first-mover, launched its payments bank operations with 7.25% interest rate, much higher than what banks offer on savings and current accounts and on a par with fixed deposits. State-run India Post floated its payments bank quietly with 5.5% interest rate. Usually, late entrants try to upset the existing order by offering customers a better deal. What's Paytm's strategy to counter the better interest rates of competitors? Does it have a potent trick up its sleeve? Email queries sent to Paytm went unanswered at the time of filing this report. Airtel, India's biggest telecom company by users and revenue, had approximately 270 million subscribers as on January 2017 while India Post, with its massive network of 1.55 lakh post offices, is unrivalled in its rural reach. So, what is the differentiator for Paytm? Its huge wallet base, of course. 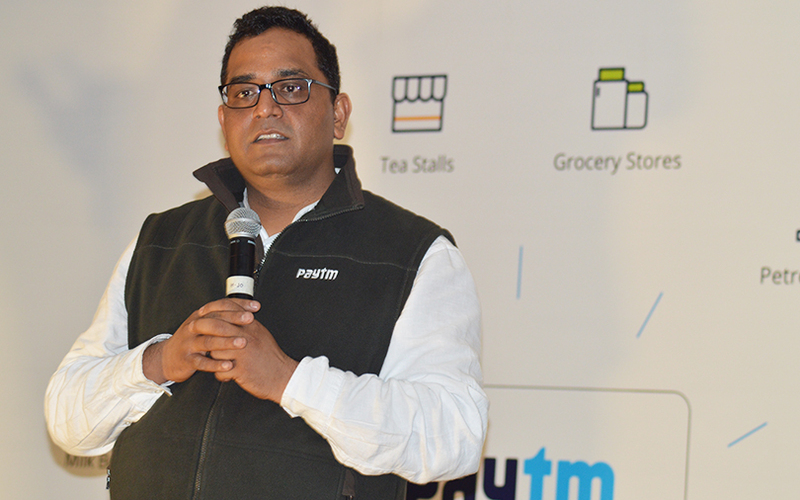 The largest digital wallet player in the country, Paytm claims to have over 200 million users on its platform. What tilts the scales further in its favour is that those users are digital-savvy—not only almost all of them are smartphone users, but they are already stakeholders in the country's fast-growing payments ecosystem. This gives the SoftBank-backed company a clear edge over others. "The key advantage enjoyed by Paytm is the default conversion of existing wallet customers into payments bank account holders," said Kanishka Mohan, senior consultant, RedSeer Consulting. "Paytm's large account holder base is already comparable to commercial banks. These customers will later serve as a base for offering more evolved financial products, including wealth management products. Besides, given traditional banks have been unable to wrest away customers from competitors through higher interest rates, just a higher interest rate may not give Airtel and India Post a big advantage over Paytm," he added. Other industry observers also feel the interest rate offered will not be a big factor. "Interest rate is not key for a customer switching bank account. If that were the case, Kotak Mahindra Bank and Yes bank would be largest retail bank franchise. The true value will lie in customer experience, servicing and contextual experience around banking needs," the founder of a leading digital payments company told VCCircle on the condition of anonymity. Besides, Paytm understands the game of cashback and discounting well, for these have been the unique selling points of most mobile wallets in the country. For starters, it is offering a cashback of Rs 250 to customers transferring over Rs 25,000 into their Paytm Payments Bank account. Backed by funding from Japan's SoftBank, it will look to further incentivise its bank customers as it looks to win customers. A payments expert said on the condition of anonymity that Paytm Payments Bank's business model will be mostly around payments and transactions, and not account balance. Also, since there is a limit to the balance in a payments bank account, the interest rate may not attract customers. But service quality, cashback, discounts and loyalty might. Last but not least, Paytm's startup DNA is likely to work to its advantage. Agility in terms of course correction as a business, speed of response and resolution of customer grievances are areas where it is likely to have an upper hand over the telecom behemoth and the government-run India Post. That said, time alone will tell who takes the pole position in this race.